Resources For Kids Who Love To Write! Children's author RACHELLE BURK encourages children to develop a love of writing and enhance their skills. The Most Comprehensive List of Resources for Kid Writers on the Net! · Blue Zoo Writers: Blue Zoo is an online learning site for emerging writers. · Book Trust: writing tips for teens. · ChixLit Literary 'zine by and for girls (ages 7-17). · *Giggle Poetry: Learn how to write great poems! · *Genna's World A site launched by a ten-year-old that provides young writers with a place to publish their writing, join in collaborative stories, provide book reviews and more. · Go Teen Writers: encouragement, honesty, and community for teen writers. · *kidswrite4kids.com is a safe, FREE place for kids who like writing and are 14 and younger. Read the stories, poems, and non-fiction members (kids) have published. · *Scriptito's Place Places for young writers to publish/post their work, plus information on writing skills, contests, resources, illustration information, workshop, etc. · Small But Mighty Writers: Creative writing site for young writers ages 7-15. · *Teen Central: Anonymously write out your feelings, no matter what the subject matter. Monitored by trained staff ; sponsored by KidsPeace, an org dedicated to helping kids in crisis. · Teen Ink: For teen writers and artists. Mag, website, &amp; books written by teens. · Teen Writers Club: Place to share your writing. Free Membership. CONTESTS. · WriteGirl Pairs girls in grades 9-12 with practicing writers through monthly workshops. · Write the World "An online global community for high school students...to publish their work and refine their craft through the establishment of a regular writing routine, an attention to revision, enter free writing competitions, and access to quality feedback both from experts in the field and the wider Write the World community." · Blue Pencil The magazine seeks to publish the best of literary work by young writers (12–18) around the world. Also offers a scholarship prize (click "The Bishop Prize"). · The Children's Writers and Illustrators Market has a section for "Young Writers &amp; Illustrator's Markets." The "Awards &amp; Grants" section also lists those which are exclusive to school age writers. · Figment: a community where you can share your writing, connect with other readers, and discover new stories and authors. · Giggle Poetry Lots of funny poems, poetry contests, and more. Ideas for educators on teaching poetry in fun and interesting ways. · Guardian Angel Publishing publishes ebooks for kids, by kids. Books chosen through CONTESTS that schools must apply to participate in. · HANGING LOOSE magazine submission guidelines for high school students. · HIGHLIGHTS magazine young readers submissions: Please note: Highlights only accepts submissions from writers younger than 16 by mail. Young writers and artists may send their work to: Highlights for Children, 803 Church Street, Honesdale, PA 18431. · Kids Can Publish: Program for writers under 18 (Story Monsters LLC). · Launch Pad online magazine (not accepting new admissions as of 11/17) publishes the works of young authors and illustrators between the ages of 6 and 14. Welcomes submissions of unpublished stories, poems, and book reviews, as well as applications from potential illustrators. NOTE: This site claims to "retain the copyright" of published works, which could mean that the author no longer holds the copyright. · Merlyn's Pen A literary magazine for and by young writers. · Moledro Magazine submission guidelines for writers and artists under the age of 30. · Medallion Press Ya-Ya (“Young Adults writing for Young Adults") showcase for aspiring authors ages 13-18 submission information at bottom of page. · Movellas A community where young writers (primarily teens) can publish stories and poetry and get feedback. It offers a number of competitions, forums and a blog. It can also be accessed through an app. 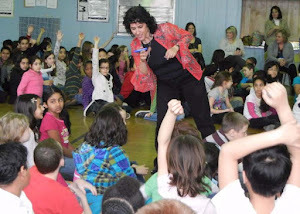 · Mrs. P.com, a storybook entertainment site, holds writing contest for kids 4-13. · One Teen Story: Magazine by and for teens 13-19. Submission guidelines, writing contests. · Parallel Ink submission guidelines: online magazine publishing poetry, narratives, and essays by students ages 12-18 around the world. · Poetic Power Free contests in poetry and fiction writing and is judged by teachers and educators. · Read Write and Imagine Read stories by other teens and post your own. · Rookie Magazine: online magazine and book series. Publishes writing, photography, and artwork by and for teenagers. · Scriptito's Place Places for young writers to publish/post their work, plus information on writing skills, contests, resources, illustration information, workshop, etc. · Small But Mighty Writers: quarterly competitions for ages 7-15. · Sweet Designs Magazine Written by &amp; for teen girls &amp; young adult women, ages 13 - 25. · TEEN INK submission guidelines for ages 13-19 A monthly print magazine, website, and a book series all written by teens for teens. There are over 16,000 pages of student writing on this site. · Young Poets' "Word of the Month Poetry Challenge"
· Young Writers Project publishing opportunities for those who live in Vermont &amp; part of New Hampshire. · Resources for TEEN WRITERS (Yvonne Ventresca's site). Interviews with editors who publish teens and young writers, other potential places to send your writing, advice from authors, books and resources about writing, plus more! · Resources for Teen and Pre-Teen Writers and Their Teachers-writing prompts, publishing opportunities (Heather E. Wright) Guidance, inspiration or prompts. It offers resources for teens and younger writers (including prompts), market information, and tips on teaching creative writing. · Create your own comic strips! · So You Want to Be a Writer? How to Write, Get Published, and Maybe Even Make it Big! 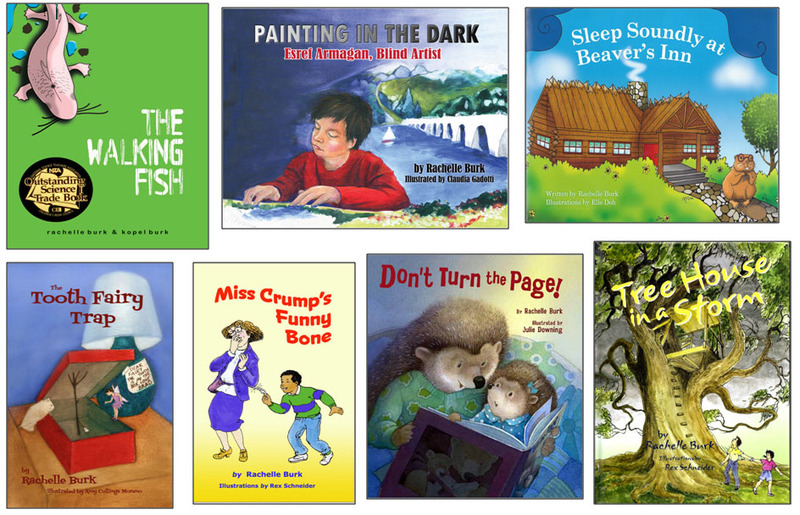 Rachelle Burk writes fiction, nonfiction, science & poetry for children in grades preK to 8. She was a contributing writer for Scholastic Science World and other national magazines. Her background as a children's entertainer guarantees a presentation that is inspirational, educational, and hysterically funny.